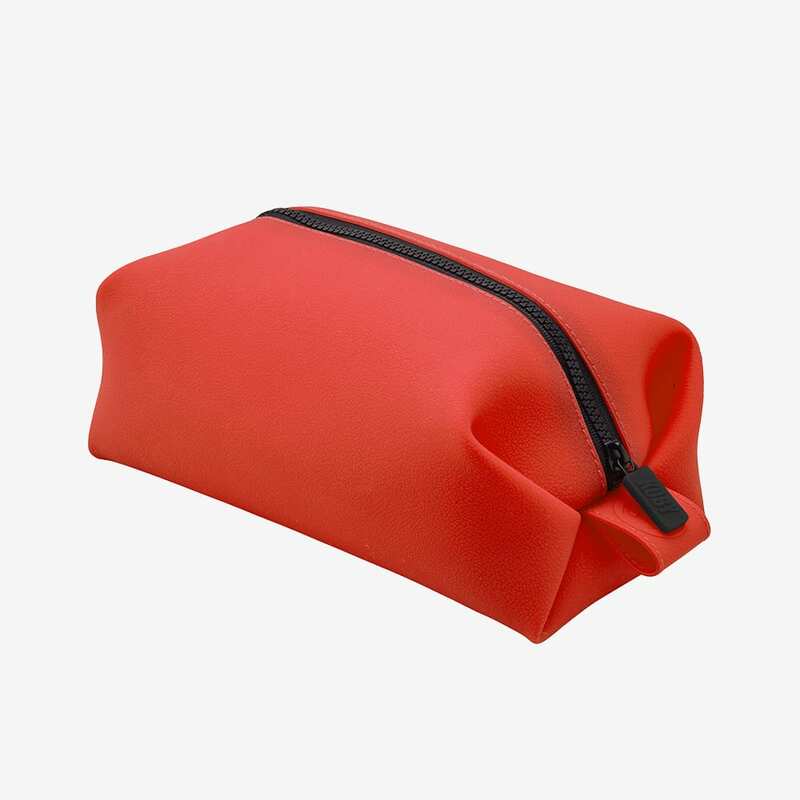 Our Toiletry Bag is made from 100% antibacterial silicone. 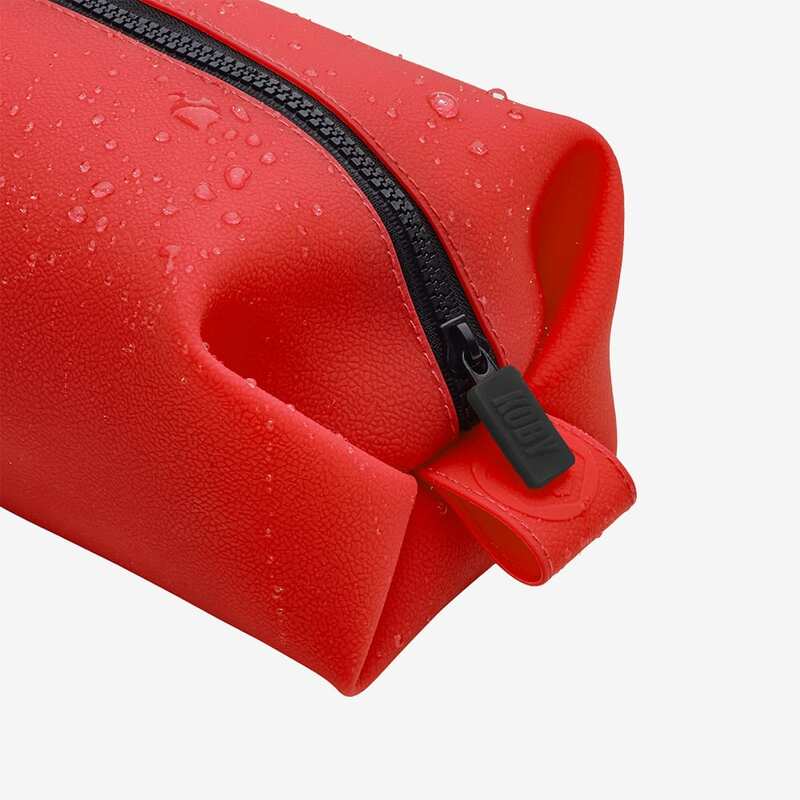 Splash proof and durable. 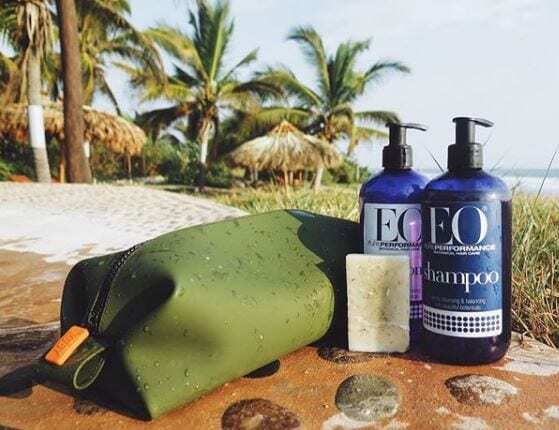 Perfect as a dopp kit, cosmetic bag or as a travel bag. 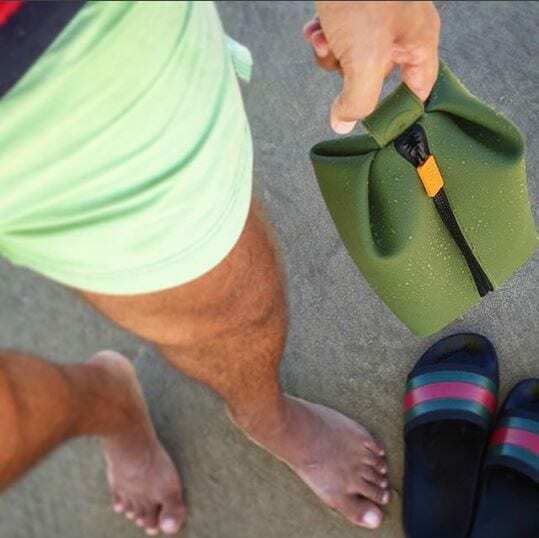 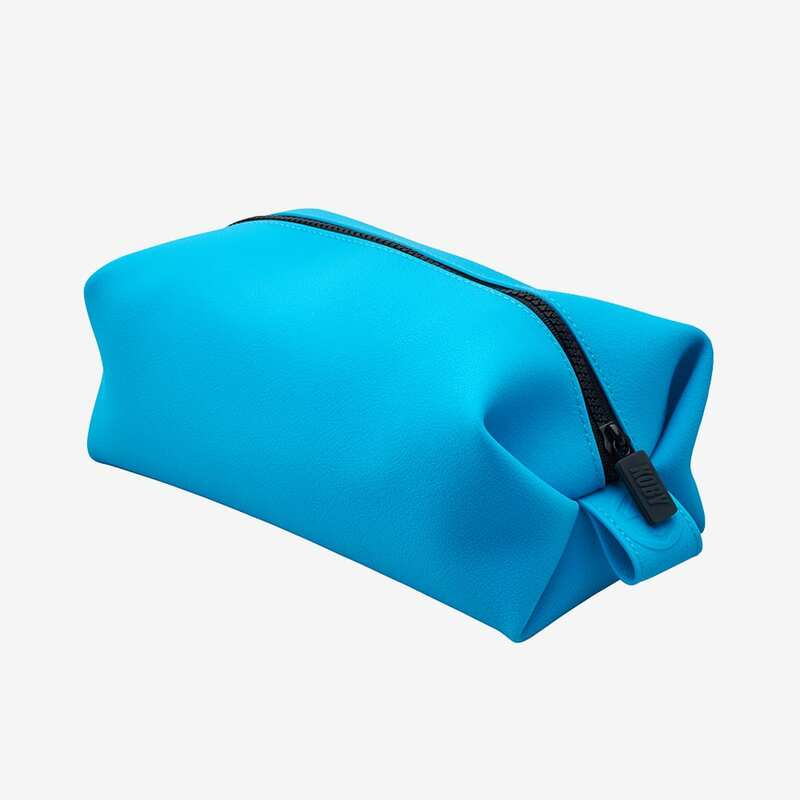 Made from 100% silicone, the Koby Bag is a leak resistant, easy to clean wash kit bag, perfect for anyone requiring a wash kit bag that can actually fit all of the toiletries they need to take with them. Hanging loop allows the Koby Bag to be hung in many showers or on door hooks and hangers. 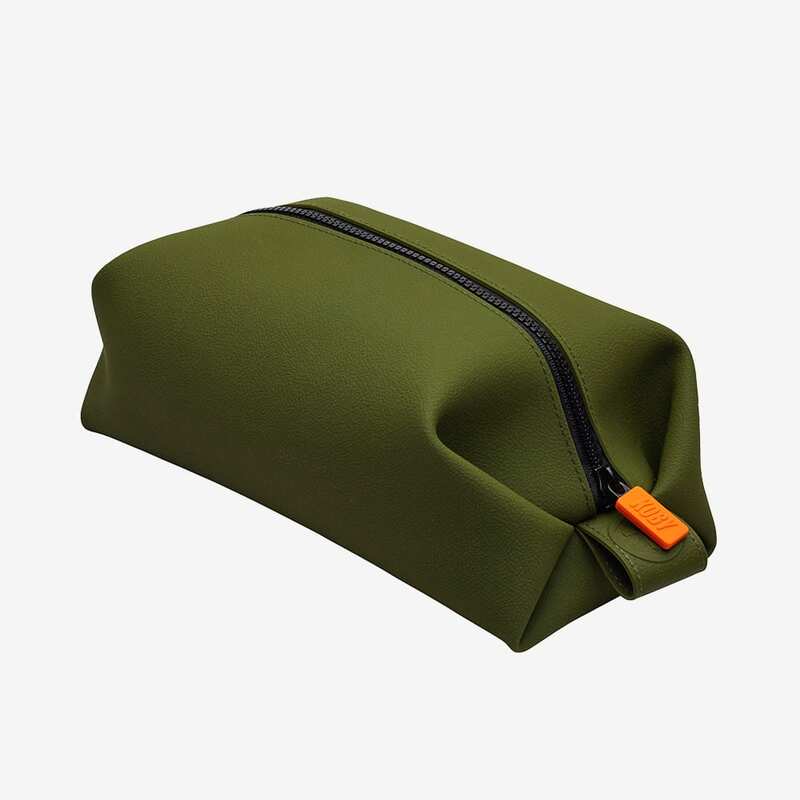 Very stout well made silicone wash bag of a decent size with good zip. 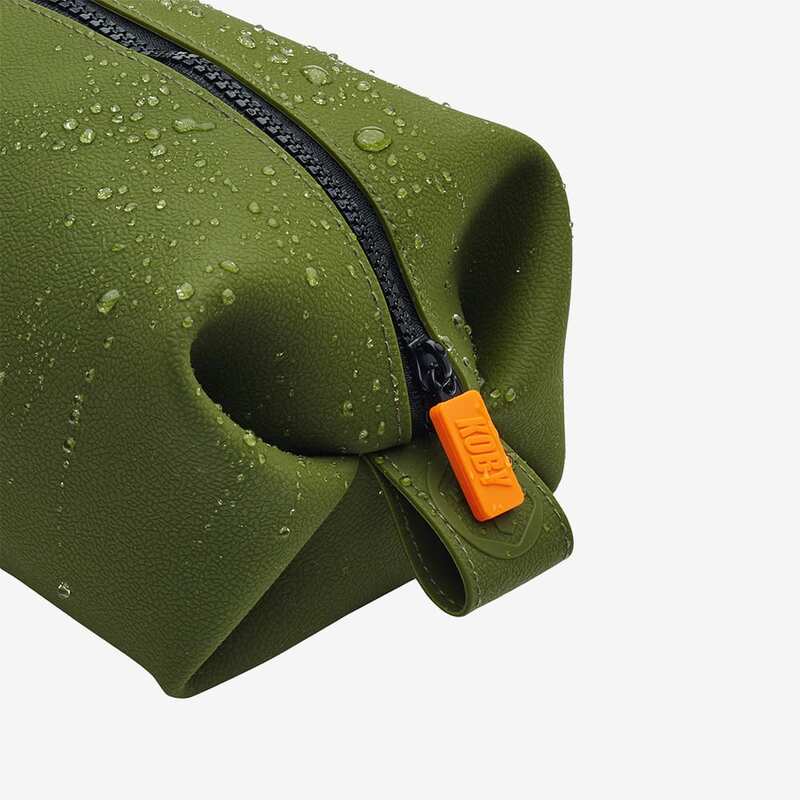 Fully waterproof.